I graduated from Soueastern Oklahoma State University in 1987 with a degree in Secondary Mathematics Education and received my masters in 1989. My first teaching job was at Marietta High school in 1987. 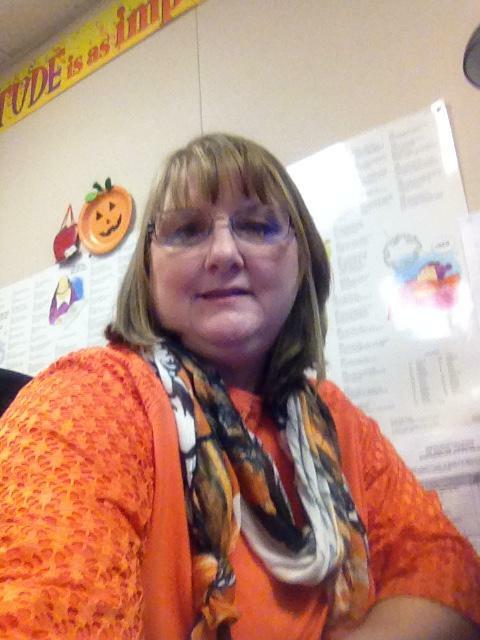 I moved back to Atoka in the fall of 1992 to teach math at Wapanucka high school. In August of 2001 I started teaching at Harmony and have been teaching here ever since. In 1987 I started teaching high school math and computer science at Marietta High School. I later moved to Wapanucka and taught high school there until 2001 when I started teaching at Harmony. I have been blessed to be a part of the Harmony team ever since. My husband Scott and I have two amazing boys who are attending Oklahoma State University. Dillon my oldest, is an OSU graduate and currently working on his master’s. My youngest son, Dustin is a senior at OSU. We raise registered Brangus cattle and if I am not at school you will find me out in the pasture helping on the ranch. One of my favorite quotes is from Galileo "Mathematics is the language with which God has written the universe." I hope to help your child discover and understand this language. It is my mission to build a mathematical foundation for your child to succeed in high school and beyond. Tutoring is offered every morning before school in my classroom for all 6th-8th grade students. The tutoring starts at 7:00 am and runs until 7:55. Please feel free to contact me if you have any questions or I can help you in any way. Together we can help your child succeed.